Blue Orange Games believes the simple pleasure that comes from sharing good times with friends and family around a great game to be very precious. 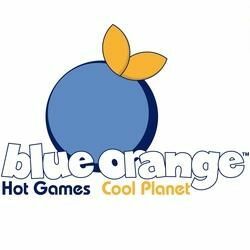 Blue Orange Games are simple to learn, appeal to all ages, and can be played by the entire family. Blue Orange Games are made of wood, in order to provide safety, quality and durability, warmth and appeal. Blue Orange plants two trees for every tree used to create Blue Orange games.